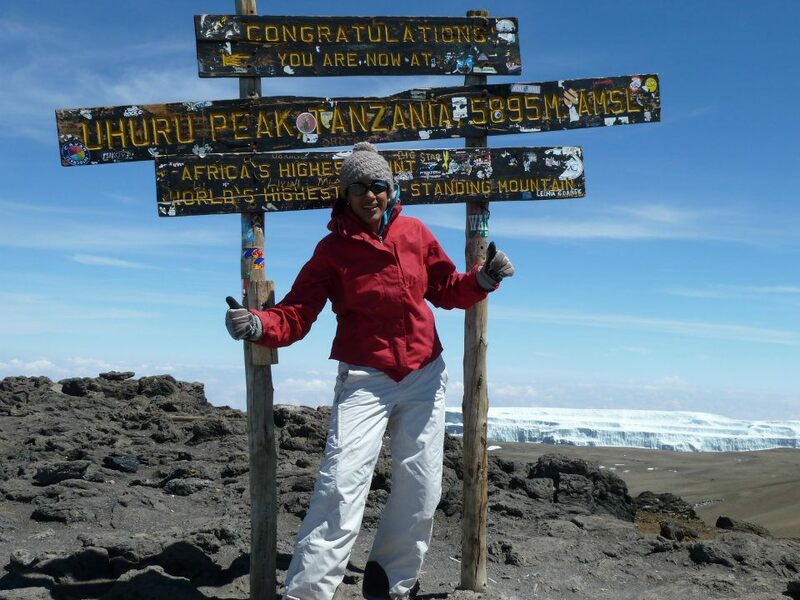 If you are looking for a once in a lifetime experience, then please add climbing Mount Kilimanjaro to your list! Not the adventurous type? 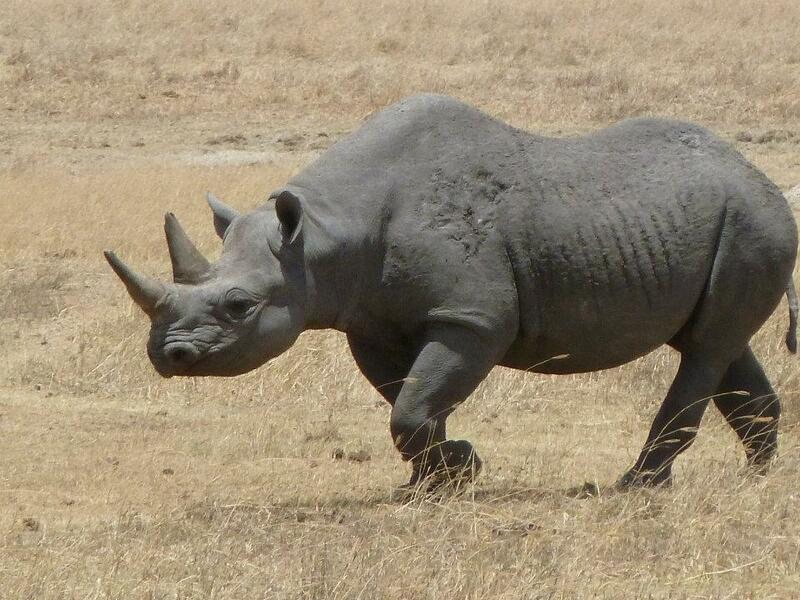 No worries, Tanzania has plenty of other things to offer! How did my trip look like? 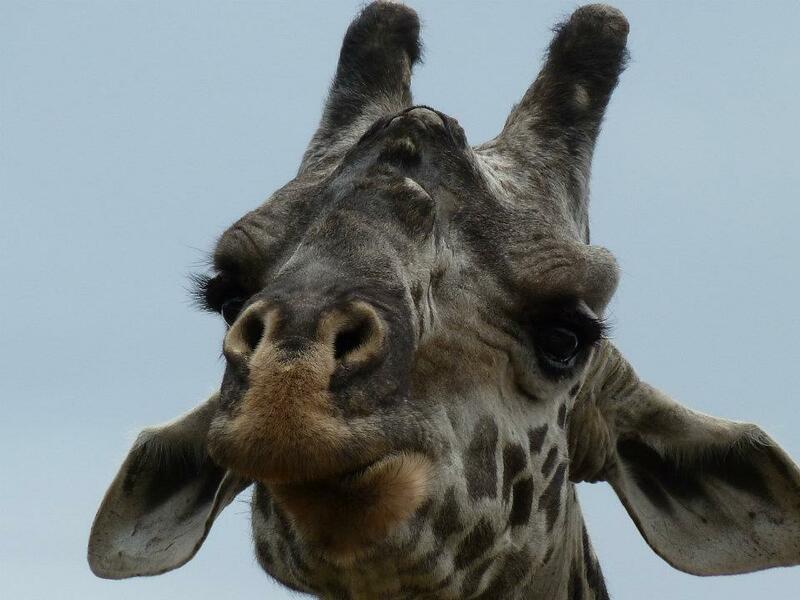 First week the climbing of Mount Kilimanjaro, two weeks of safari and one week chilling and snorkeling on Mafia Island (what? yes, Mafia Island). 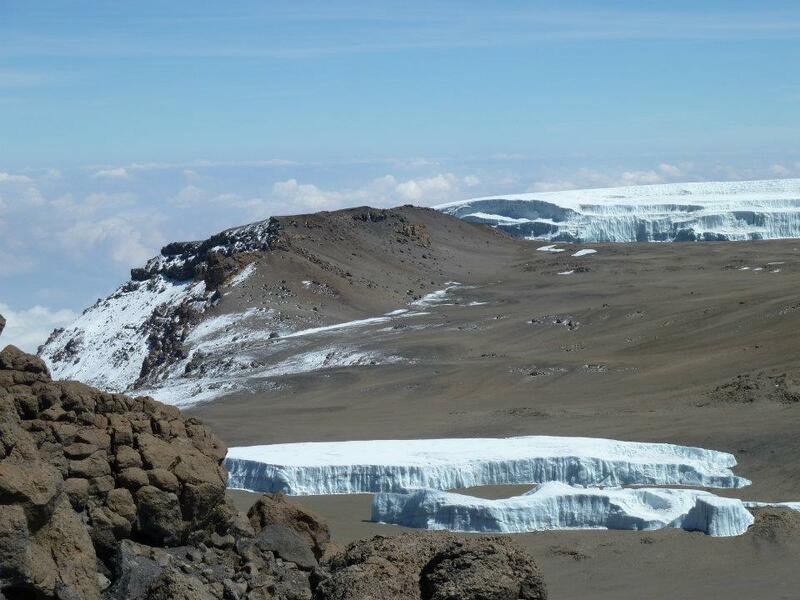 When considering climbing Mount Kilimanjaro, take a look at www.climbingkilimanjaro.com. I have had very good experience with this organization. The guides were good (which is very important when you are an unexperienced climber), the food prepared on the mountain was of good quality and the organization offered great customer service. 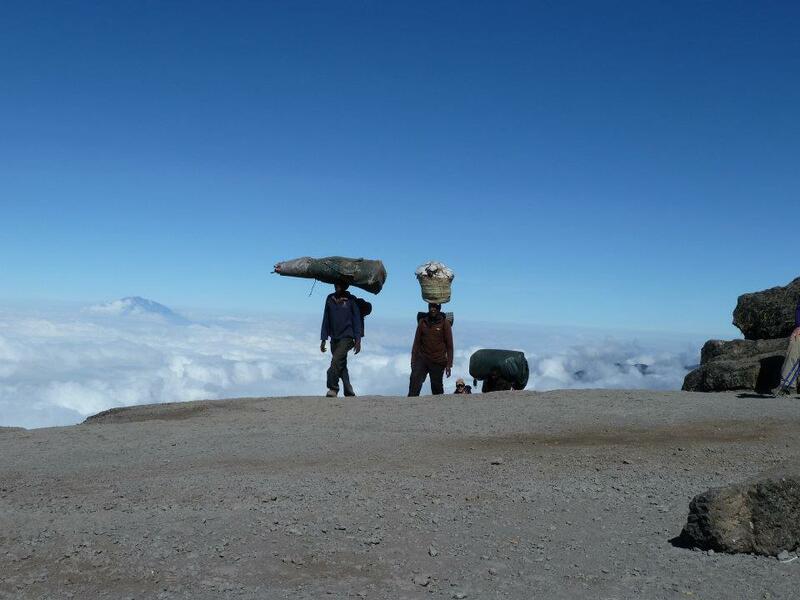 We took the Machame Route and I would recommend you to choose to climb this route. It offers scenic views and allows you one extra day of acclimatization if you want (from 3800m to 4600m back to 3900m). OK, but how was the trip?! I have to admit, I was a bit nervous. The guides and porters were preparing and packing the supplies and the equipment at the gate. We only needed to carry our daypack. The porters would carry all the foods supplies for a week and all the backpacks. Respect! After registering at the gate office, we were ready to ascent and entered the rain forest almost immediately. From the beginning, the guides were saying ‘pole pole’, which means ‘slowly slowly’. In general one is attempted to start of at a fast pace, but that’s not very wise. Every day you will hike approximately for 7 hours. We started the climb with rain (how typical in a rainforest), which transformed the trail into a very muddy and slippery experience. The porters (arriving at the camp site long before we did) had set up the tents on arrival (this is a daily routine). In the evening the porters brought a small bowl of washing water to every tent (since you won’t be having a shower for a week!) and the cook prepared dinner on camp. They only have basic tools on which they can cook dinner, but you will be surprised how well they can prepare the food. I’m a terrible eater and have very weak intestines, but I thought the food was really good and not once have I had problems with my stomach during this week. The reason behind this was that when climbing towards 3800M, the first signs of altitude sickness may appear. When we arrived at 3800M I felt a bit dizzy, had a little bit of a headache and felt like I could fly. Breathing was getting more difficult due to the lack of oxygen in the air. At first I didn’t realize that it was due to the altitude. I thought I was just not fit enough. The side effects of the Diamox started and I had to pass water numerous times per day. During the night (with temperatures dropping to well below freezing) I had to get out a few times and pass water in open air while I was freezing my a** off. Besides my night rituals, the nights on the mountain were beyond words. Imagine you walk and sleep high above the cloud cover and you are only surrounded by nature and countless stars. The purpose of this day is for your body to be able to acclimatize to the high altitude. We climbed through a semi desert and rocky landscape. If you haven’t had experienced symptoms of breathlessness and headaches yet, you will most likely experience it today. 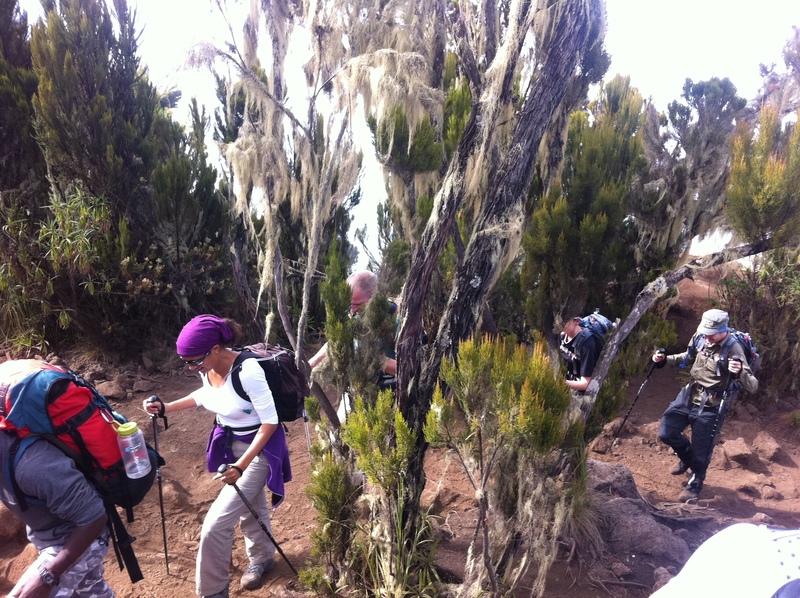 We hiked towards a camp which is situated in a valley below the Great Barranco Wall. When we arrived at the camp late in the afternoon, it was foggy and I couldn’t get a clear picture of the area around me and the Wall was not visible at all. That picture became very clear to me the following morning…. Curious as I was, I got out of the tent immediately and as the fog had disappeared, the area around us became very clear. “Ooh no, hell no”, was my reply. I was looking at the Great Barranco Wall, an awesome looking obstacle. There was no other way, the only way was up. During the climbing there were moments that I felt that I would tear out my pants (I was stretched to the max). At this point you will even have more respect for the porters than you already had, since they had to climb it with heavy stuff on their heads and backs. When you have reached the top, you will find that it was easier than anticipated. The route continues over ridges and valleys. 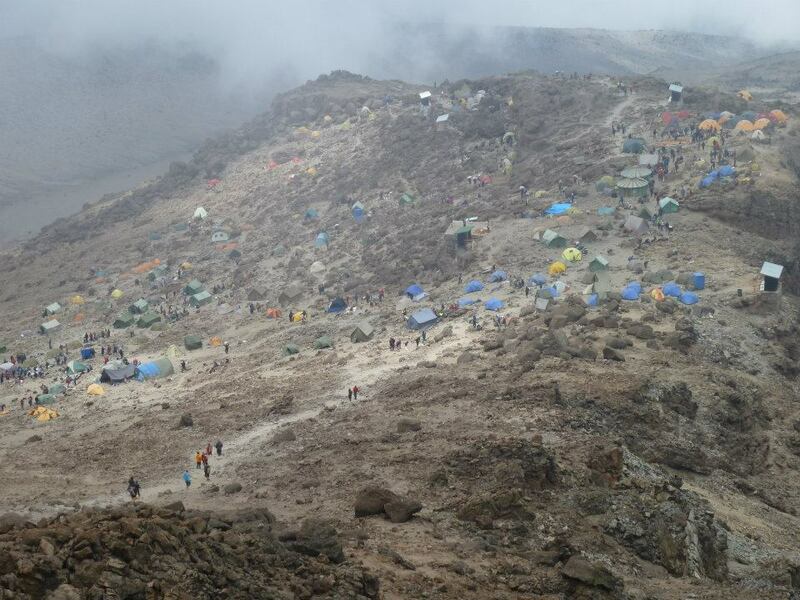 Barafu Camp is the last stop before the top. We arrived there late in the afternoon and had to prepare (physically and mentally) for the summit night. The final ascent attempt would be the same night. I had a couple of biscuits and a bowl of soup for dinner. Due to the high altitude I didn’t feel like eating at all. But since I ate all the presented meals and snacks the previous days, my body had enough reserves left. You just need to make sure that you drink at least 3 liters of water per day. We prepared the equipment (including headlamp and camera), hiking poles and thermal clothing for the summit attempt. I went to bed at around 19:00 for some rest. Of course I couldn’t sleep. I was too excited. At the same time I was a bit afraid and nervous. Finally it was going to happen. We got up around 02:00, and after some tea and biscuits we shuffled off into the night. We ascended through heavy scree and black gravel sand (in -15 degrees Celcius!) towards Stella Point on the crater rim. For me the 6-hour walk to Stella point was mentally and physically challenging. Keep someone in mind while climbing, you need to have someone to focus on, otherwise it’s mentally very tough. I thought of my little niece, which kept me going. Every step was a fight with my on body. Breathing has never been that difficult, and I was not able to observe the area around me. I handed over my camera to my guide and said to him: “please, you take all the pictures you want, since I won’t remember a thing”. I was so glad I handed over the camera, which resulted in some very nice memorable pictures afterwards. From the beginning of the trip, the group consisted of eight people. Which is a very good number to climb with. During the ascend a few had massive headaches and a few were vomiting all the time. I didn’t have any headache, neither did my body felt the need to vomit (luckily!). But at some point I was apparently not climbing very stable, since I felt the hands of my guide in my back who really pushed me up the mountain until I could climb on my own again. At Stella Point (5739M), when you almost start thinking that you are done), you can take a rest. 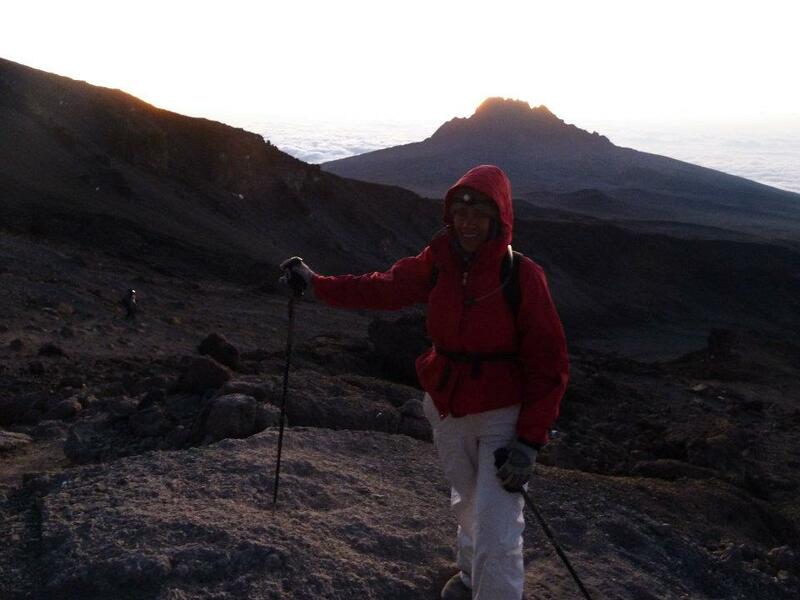 From Stella Point you will continue another 2-hours ascent to Uhuru Peak. Reaching the peak, is what I will remember the rest of my life. I remember seeing a lot of glaciers and a plane flying above our heads. Do to fatigue and the thin air, we were not allowed to spend more than 10 minutes on the peak. “OK, take my hand and run as fast as you can”, the guide told me. I took the hand of the guide and we ran and slided back down in about two and a half hours to the camp. You will notice the oxygen levels in the brains again. We had a short rest and headed down to Mweka hut (3100M). The route is not difficult and will take you down rock and scree paths into the forest. Man, I was so glad with my hiking poles. During the descend my knees were hurting a lot and the hiking poles functioned as an extra support. It’s a very scenic hike back to the Park gate. When we reached the gate safely, we paid the porters their deserved tips. At Mweka gate we signed our names and details in a register and received our summit certificates (YESS!). From the Mweka Gate we continued down into the Mweka village, a muddy hike. 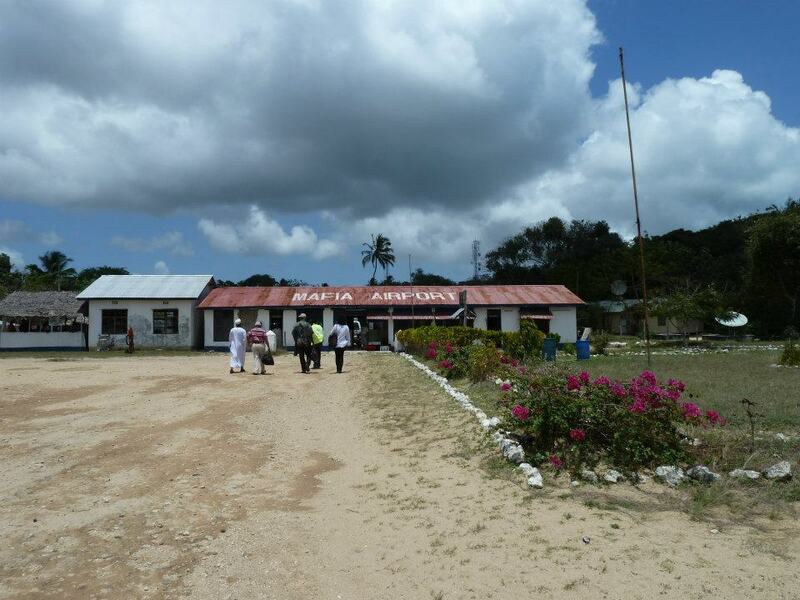 From the Mweka village we were driven back to our hotel for a nice cold beer and a long overdue hot shower! NB: There is no way of saying up front who will reach the top and who will not. Altitude sickness can end up very bad and should not be taken lightly. Listen very carefully to your body and to the advice of your guides (if you have a reliable one). When we were there, a couple of topsporters came down on day three due to altitude sickness. Both my friend (who smoked a lot at that time) and I (moderate fit) made it to the top. So yeah, you can’t tell. 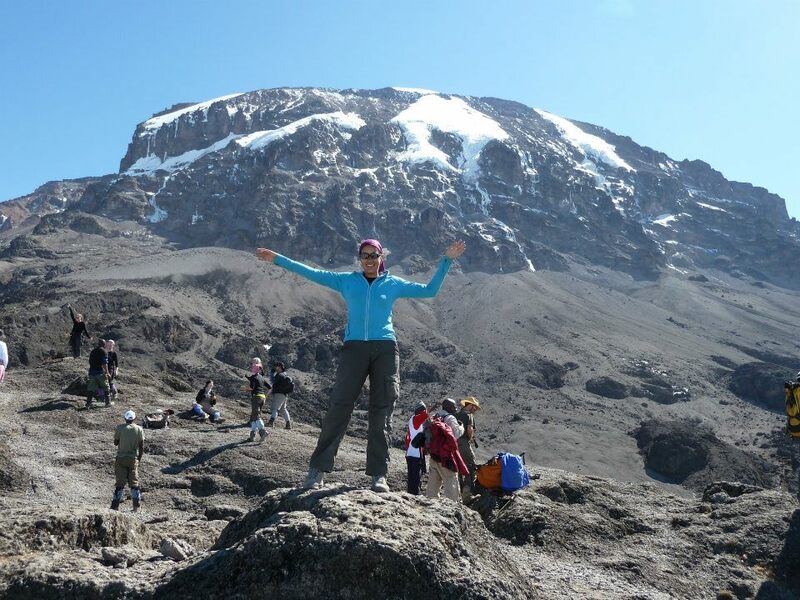 When you book your trip through Climbing Kilimanjaro, you will receive an extensive list of what to bring along. If you are planning to travel some more after the climbing, I would advice you to rent as much equipment from the organization as possible. Since you don’t want to carry all that stuff afterwards on your safari trip. I rented most of the equipment, which is much cheaper than buying it. In addition: make sure you wear a hat, bandanna, good sunglasses, sun cream and layered clothing. Also a camel bag which will not freeze when you are climbing in temperatures below 0 (summit night). Otherwise no water will flow through the tube and trust me, you will need plenty of water! Essential: buy in an outdoor shop in your home country water purifying tablets or in a liquid form. You will be drinking water from the mountain which is not drinkable without these water purifying tablets. After the climbing we rewarded ourselves with two weeks of safari. 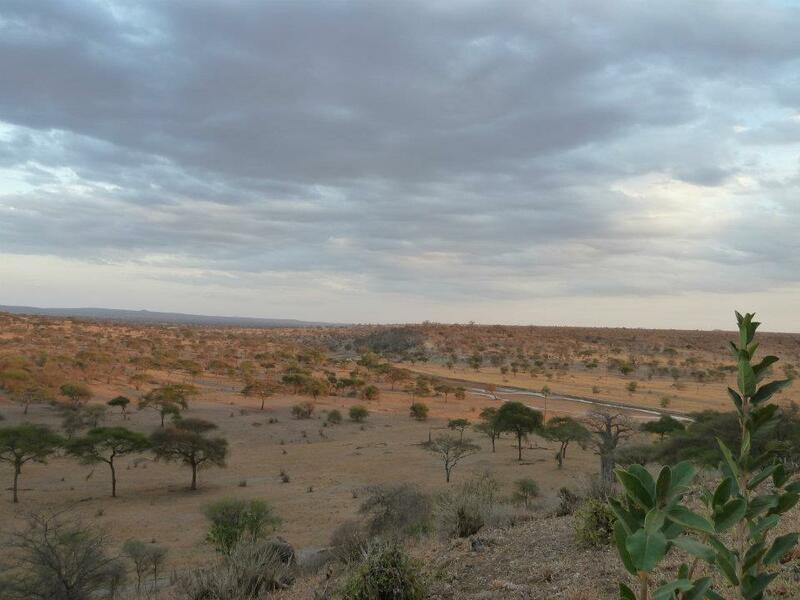 You will be amazed by the endless plains and the variety of animals. 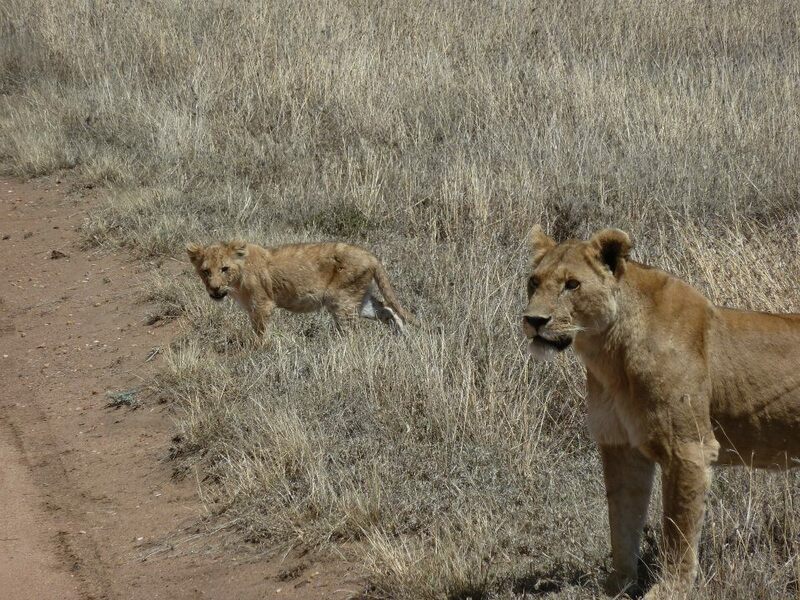 We visited the following parks where we undertook some impressive game drives: Arusha National Park, Tarangire NP, Lake Manyara NP, Ngorongoro Conservation Area and Serengeti National Park. In Arusha we stayed in the Arusha Hotel. Can’t complain! About 60% of Lake Manyara NP is lake when water levels are high. Especially bird lovers would like this park a lot, since more than 400 species have been recorded. To spend the night, Lake Manyara Hotel is a good option with a scenic view on the park and the lake below. 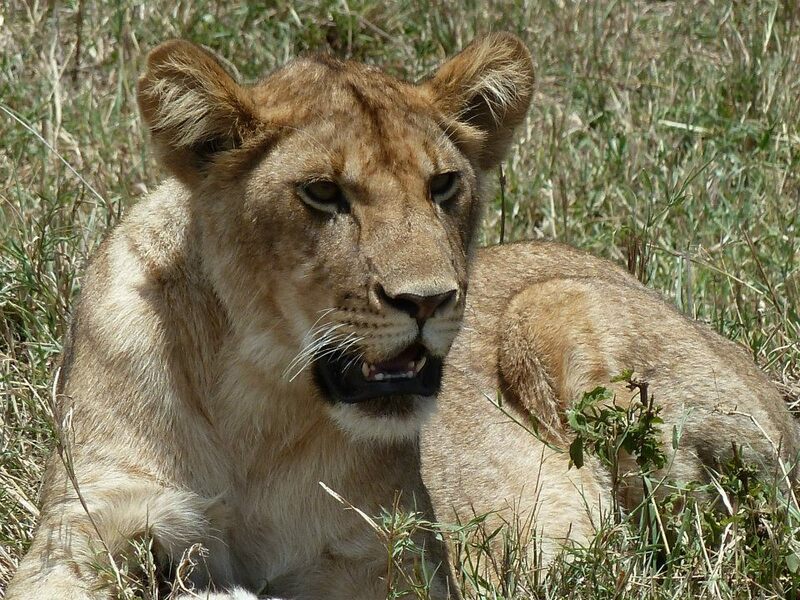 The Ngorongoro crater is spectacular! The wildlife unforgettable! 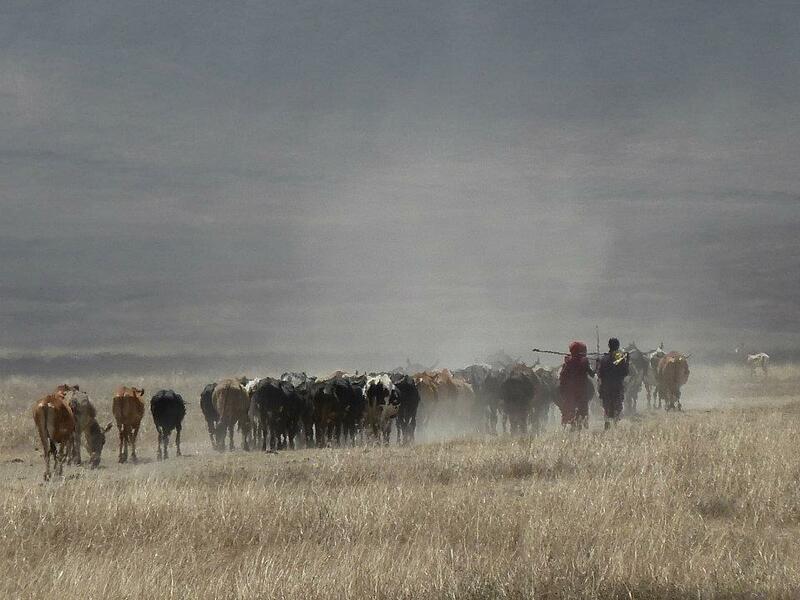 You will see the Masai herding their cattle throughout the crater. When looking for a place to stay, please consider the Ngorongoro Wildlife Lodge, which is offering fabulous views over the crater. My favorite place in the lodge was the balcony along the entire width of the lodge, where you could have a nice drink and watch the crater below. Or use the giant binoculars placed along the balcony edge, through which you can view game way down on the floor of the crater. 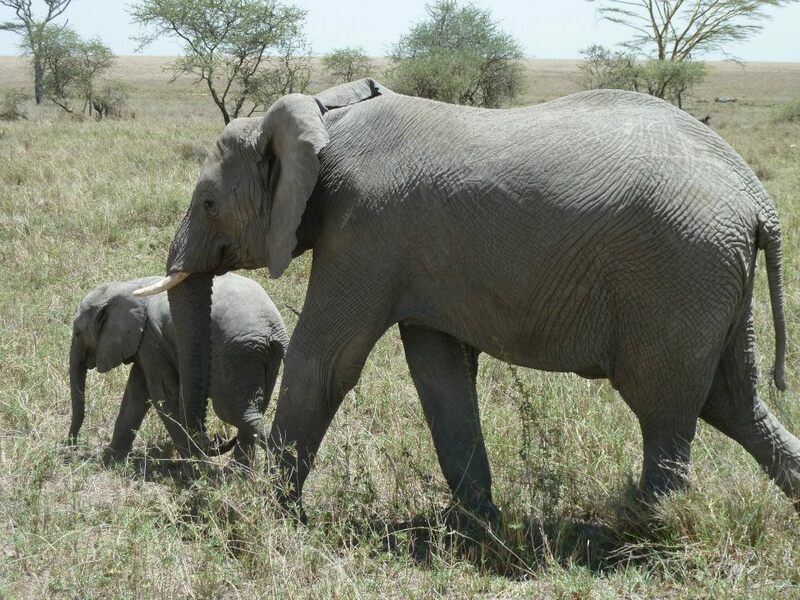 The Serengeti Park is Tanzania’s oldest and most popular national park. Moreover, it’s an UNESCO World Heritage Site. The Serengeti is famous for the annual migration of two million wildebeests plus hundreds of thousands of gazelles and zebras – followed by their predators in their annual migration in search of water. If you are lucky you can view one of the most impressive natural events in the world. 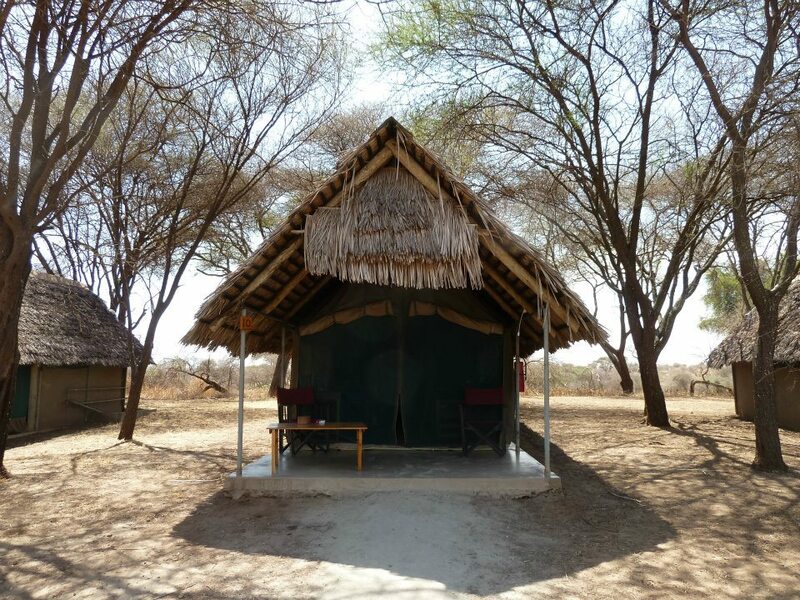 The Seronera Wildlife Lodge is a perfect place to stay. Haven’t had enough? There are still plenty of other National Parks left to explore. In case you feel like chilling on a beach and exploring the underwater world, without being surrounded by mass tourists like the popular island of Zanzibar, Mafia Island is definitely a ‘beyond the regular to-do list destination’. We went with such a small plane that you could sit next to the pilot! Even the runway of the so called ‘airport’ consisted of gravel. I loved the fact that there were no asphalt roads on the island. If you are into some partying, you should go to Zanzibar as there is not much to do on Mafia Island besides exploring the underwater world. 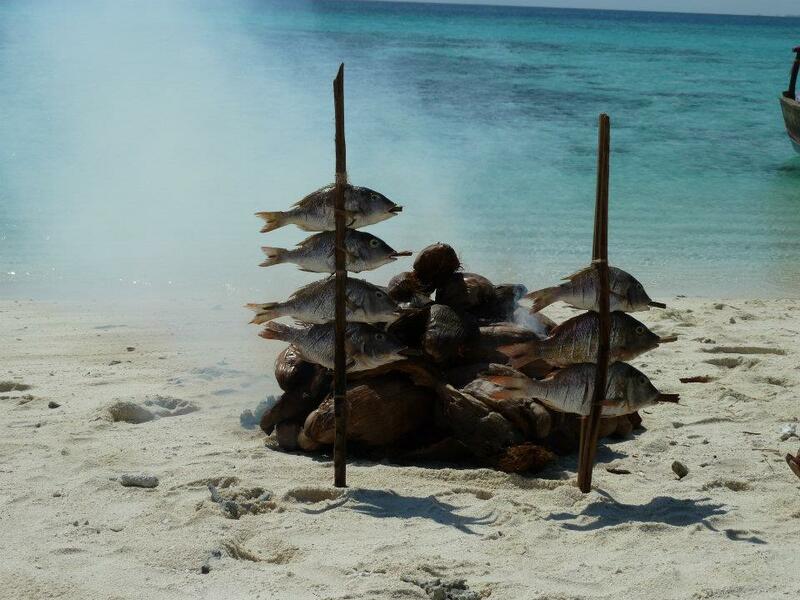 It’s a perfect island in the Indian Ocean to chill out. The underwater world didn’t disappoint me at all (since I have lived in the Caribbean I’m a bit spoilt so to say…): countless coral and fishes in all kinds of colors were lit up by the sun. We stayed in Mafia Island Lodge. A nice place which I can recommend you. 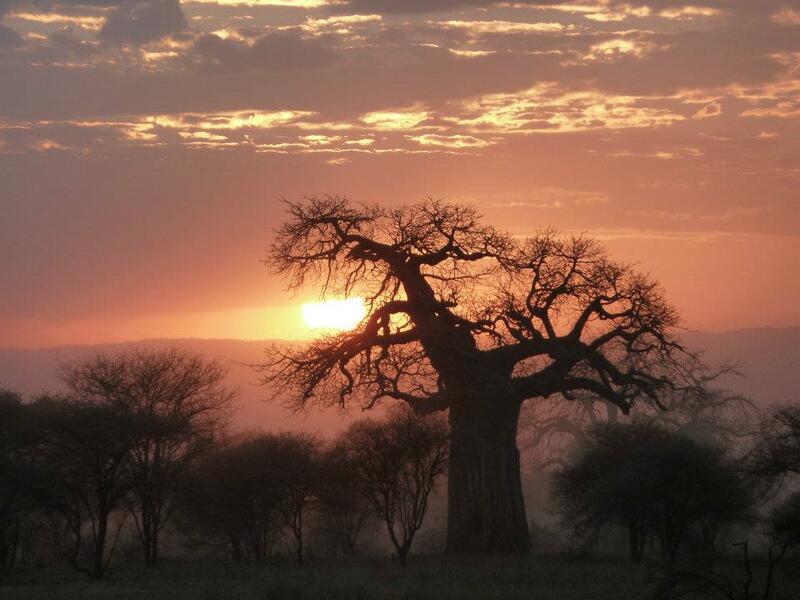 I hope you enjoy the beautiful country of Tanzania!